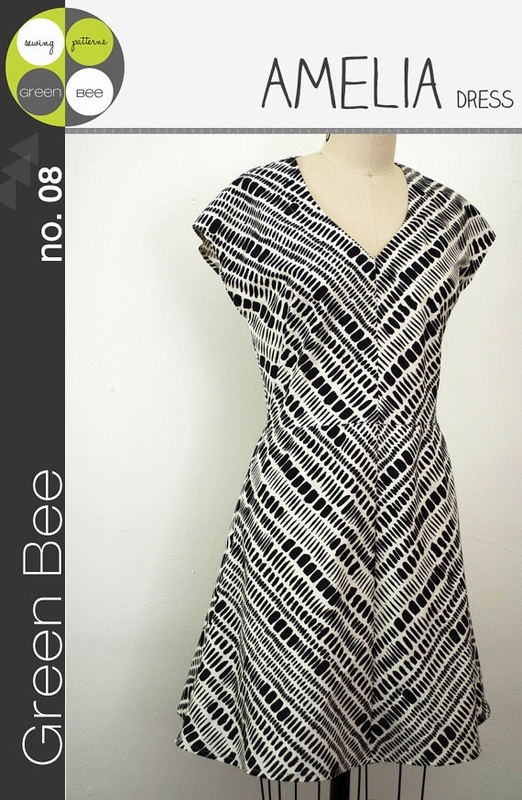 The Amelia Dress Pattern by Green Bee is one of my newer favorites. Simple construction makes for an uncomplicated sewing project. Shown below is the long version, falls just below the knee, in a linen cotton blend. Bias cut fabric allows the dress to move with you. The fitted waist is flattering without being too tight. Invisible zipper closure in the back. The pattern also includes directions on sewing an exposed zipper. This version is the shorter length falling above the knee. The Amelia dress has pockets! This grey example is on display at the shop sewn by the lovely Leah. Just in: Art Gallery, Andover, Birch knits and more!